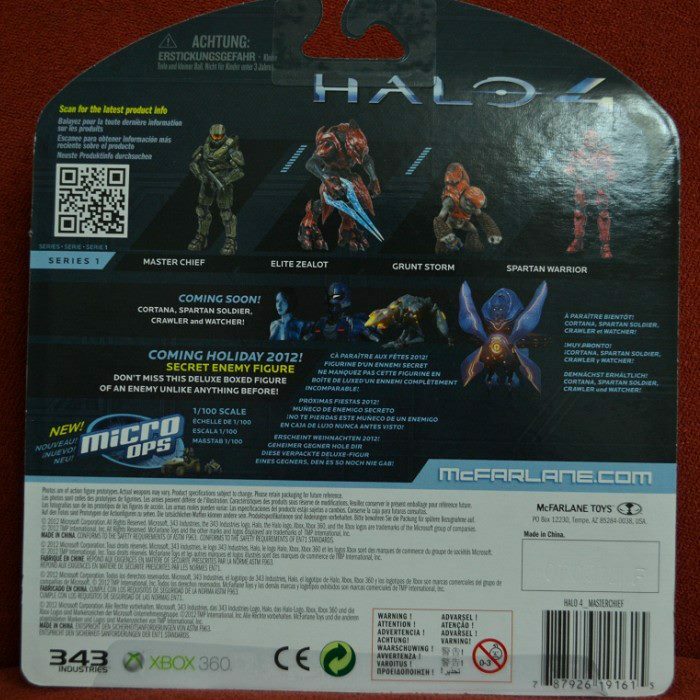 This weekend an image has popped up on the internet of McFarelane Toys' Halo 4 figurine packet. As you can see from this picture not only are the usual characters involved but there are some new additions to the mix. The Elites and Grunts are still featured but for those of you that look at the smaller text, you can see that there are two enemy types, the Crawler and the Watcher. The Crawler appears to be a four legged creature, whilst the Watcher looks like some horrid abomination. The Spartan soldier also possess a new style of armour too, with a funky new visor. For now none of this has been confirmed so it could change, but I would to think if it is on a toy packet then it should be in the game itself.